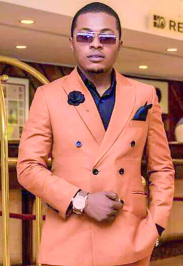 Versatile actor, Samuel Ajibola also known as Spiff in the TV series, The Johnsons has revealed plans to make children to be good ambassadors of the nation. This he intends to do through his NGO, Sam Ajibola Foundation. Speaking on why he took a break from the drama series, The Johnsons, Ajibola admitted that he had to take a break in order to take care of some issues calling for his attention. “A lot of people have been asking me this question. The job is very demanding. We’ve been shooting for years now, back to back. I only get like a month free every year. So, imagine how stressful it can be,” he lamented.